Have you tried all our wraps yet? 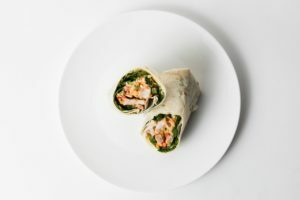 Pictured here is our spicy Thai chicken wrap, filled with marinated chicken, snow pea, daikon, peppers, coriander, lettuce, spicy aioli, oyster sauce and shallots. You’ll be sure to love it!